Would you like to discover more about your contacts? Xobni is a great tool for this in Outlook, and thanks to a small plugin for Gmail, you can get similar functionality right from your favorite webmail app. Browse to the Rapportive site (link below), and click install to add it to your browser. 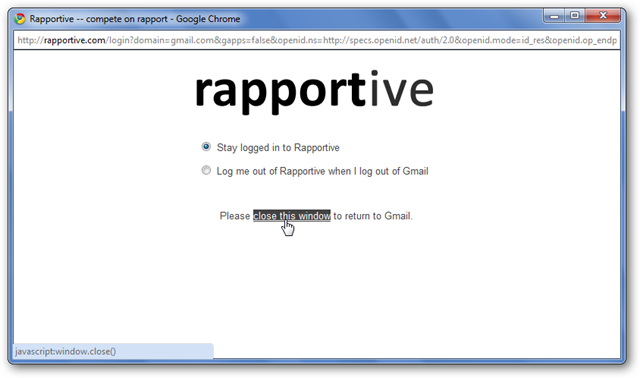 Rapportive currently only supports Firefox and Google Chrome. In this test, we installed it on Google Chrome. Notice that Chrome warns Rapportive may access your private data from Gmail, though Rapportive says that they only use this data securely on your computer or their servers. 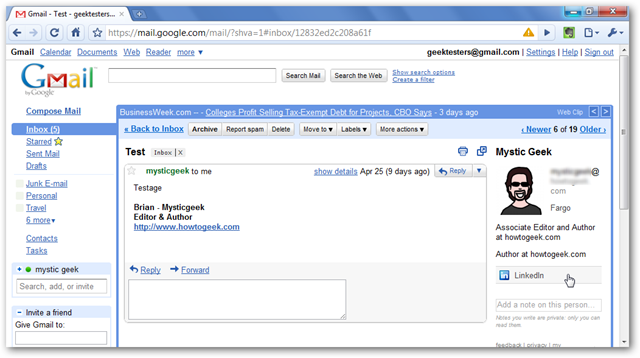 Next time you log into Gmail, open a message to see the new Rapportive sidebar. Click Log in to get started. Choose if you want to let Rapportive to access your data. 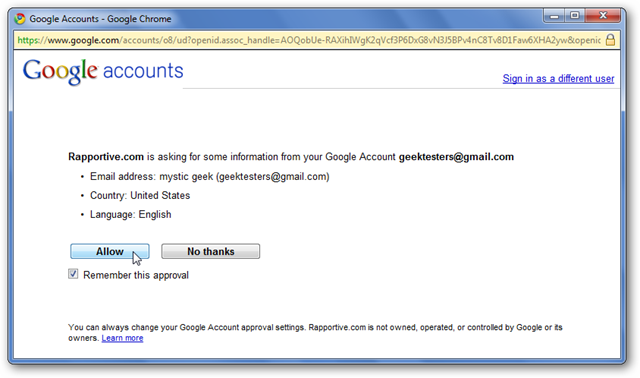 Finally, choose whether to stay logged into Rapportive or to log out when you log out of Gmail. Now, when you open an email, you should see more information about your contact on the right side of the message where you usually see Google AdSense ads. You may see an avatar, short bio, and links to their social networks. You can add notes about a contact also, which lets you use Rapportive as a CRM. You may see more information on some contacts. Here we see a contact that shows recent Tweets and links to several social networks. You can add more features to Rapportive with Raplets, which are small extensions that add more information or CRM functionality. 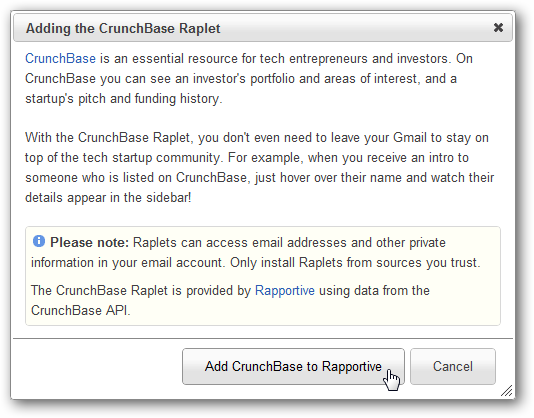 To add these, click the Rapportive button on the top of Gmail, and select Add Raplets to Rapportive. Find a Raplet you want, and click Add This. A popup will open to give you more information about the Raplet; click the Add button at the bottom if you still want it. And, if you’re wish to close Rapportive without logging out of Gmail, click the Rapportive link in Gmail and select Log out. Whether you want to find out more about your contacts or keep track of notes about them, Rapportive is a great way to do this from Gmail. With tools like this, Gmail gets a bit more powerful and feels more like a desktop application. If you would like this type of functionality in Outlook, check out our article on how to power up Outlook’s search and contacts with Xobni.